Balinese style villas and resorts are popping up everywhere--from Ibiza to St Barts to Singapore. 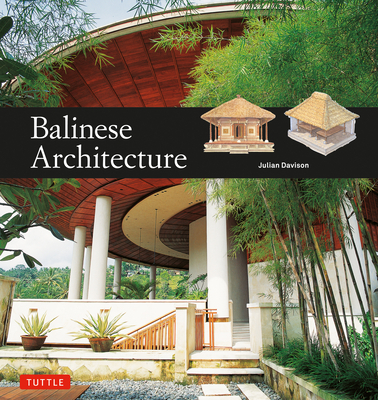 But what is Balinese architecture? And why is it so popular today? Traditional Balinese houses, temples and pavilions are designed to allow man to exist in harmony with the natural forces of the universe--reflecting core Balinese beliefs about man's place in relation to the cosmos, the gods, the ancestors, and the world around him. Innovative local and Western architects have been designing resorts and villas on Bali for decades, drawing their inspiration from these local traditions. Julian Davison lives in Singapore where he is a freelance writer, editor, television presenter, and illustrator. Illustrators Bruce Granquist, Mubinas Hanafi, and Nengah Enu work together in Studio Satumata in Bali, Indonesia, and have worked on over 15 published projects for various publishers in Southeast Asia. Luca Invernizzi Tettoni lived and worked in Asia for four decades. He specialized in books on aspects of Asian art, culture, history and nature, and is well-known for his photography in books like Thai Style, The Tropical House and Decorating with Flowers.